Home » Almighty God , chastisement. , God , Jesus , judgment , the Age of Grace , the Age of Law » Salvation Can Only Come Through Belief in Almighty God. Salvation Can Only Come Through Belief in Almighty God. A sinner such as you, who has just been redeemed, and has not been changed, or been perfected by God, can you be after God’s heart? For you, you who are still of your old self, it is true that you were saved by Jesus, and that you are not counted as sinners because of the salvation of God, but this does not prove that you are not sinful, and are not impure. How can you be saintly if you have not been changed? Within, you are beset by impurity, selfish and mean, yet you still wish to descend with Jesus—you should be so lucky! You have missed a step in your belief in God: You have merely been redeemed, but have not been changed. For you to be after God’s heart, God must personally do the work of changing and cleansing you; if you are only redeemed, you will be incapable of attaining sanctity. … in the Age of Grace, the demons went away from man with the laying on of hands and prayer, but the corrupt dispositions within man still remained. Man was healed of his sickness and forgiven his sins, but the work for just how the corrupt satanic dispositions within man could be cast away was not done in him. Man was only saved and forgiven his sins for his faith, but the sinful nature of man was not taken away and still remained within him. 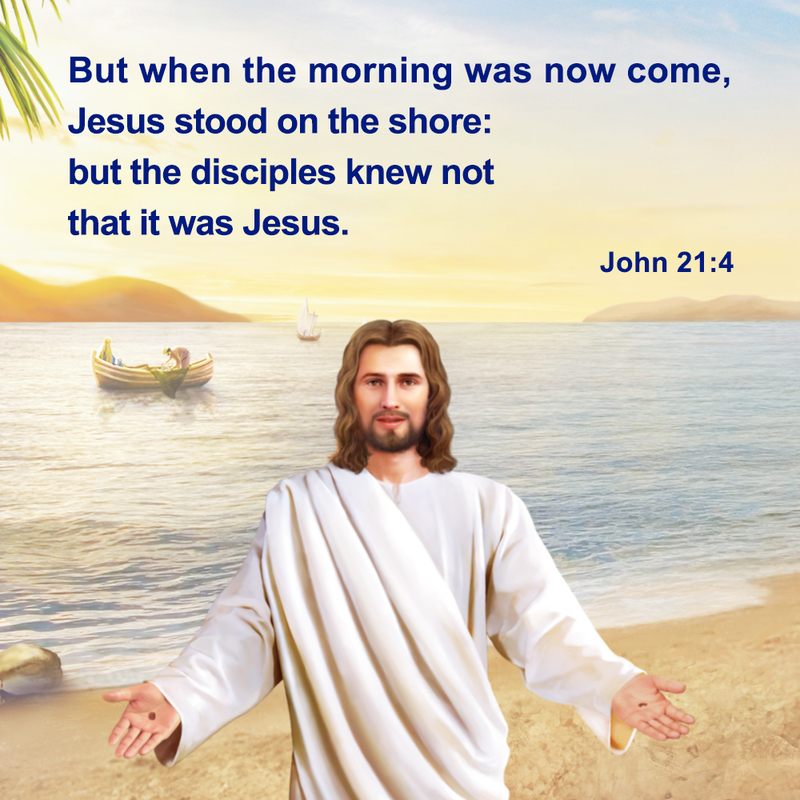 The sins of man were forgiven through God incarnate, but it does not mean that man has no sin within him. The sins of man could be forgiven through the sin offering, but man has been unable to resolve the issue of just how he can no longer sin and how his sinful nature can be cast away completely and be transformed. The sins of man were forgiven because of the work of God’s crucifixion, but man continued to live in the old, corrupt satanic disposition. As such, man must be completely saved from the corrupt satanic disposition so that the sinful nature of man is completely cast away and never again develops, thus allowing the disposition of man to be changed. This requires man to understand the path of growth in life, the way of life, and the way to change his disposition. It also needs man to act in accordance with this path so that the disposition of man can gradually be changed and he can live under the shining of the light, and that he can do all things in accord with the will of God, cast away the corrupt satanic disposition, and break free from Satan’s influence of darkness, thereby emerging fully from sin. Only then will man receive complete salvation. Man received much grace, such as the peace and happiness of the flesh, the blessing of the entire family upon the faith of one, and the healing of sicknesses, and so on. The rest were the good deeds of man and their godly appearance; if man could live based on such, he was considered a good believer. Only such believers could enter heaven after death, which means that they were saved. But, in their lifetime, they did not understand at all the way of life. They merely committed sins, then made confession in a constant cycle without any path toward a changed disposition; such was the condition of man in the Age of Grace. Has man received complete salvation? No! Therefore, after that stage was complete, there is still the work of judgment and chastisement. This stage makes man pure through the word so as to give man a path to follow. This stage would not be fruitful or meaningful if it continued with the casting out of demons, for the sinful nature of man would not be cast away and man would only stop upon the forgiveness of sins. Through the sin offering, man has been forgiven his sins, for the work of the crucifixion has already come to an end and God has prevailed over Satan. But the corrupt disposition of man still remains within them and man can still sin and resist God; God has not gained mankind. That is why in this stage of work God uses the word to reveal the corrupt disposition of man and asks man to practice in accordance with the right path. This stage is more meaningful than the previous one and more fruitful as well, for now it is the word that directly supplies life for man and enables the disposition of man to be completely renewed; it is a stage of work more thorough. 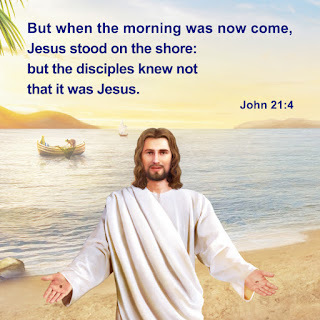 Therefore, the incarnation in the last days has completed the significance of God’s incarnation and completely finished God’s management plan for the salvation of man. In the work of the last days, the word is mightier than the manifestation of signs and wonders, and the authority of the word surpasses that of signs and wonders. The word reveals all the corrupt dispositions in the heart of man. You are unable to recognize them on your own. When they are revealed to you through the word, you will naturally come to the realization; you will not be able to deny them, and you will be utterly convinced. Is this not the authority of the word? This is the result achieved by the present work of the word. Therefore, man cannot be fully saved from his sins by the healing of sickness and casting out of demons and cannot be fully made complete by the manifestation of signs and wonders. The authority to heal and cast out demons only gives man grace, but the flesh of man still belongs to Satan and the corrupt satanic disposition still remains within man. In other words, that which has not been made clean still belongs to sin and filth. Only after man has been made clean through words can he be gained by God and become sanctified. If no more is done than casting out the demons within man and redeeming him, that is only seizing him from the hands of Satan and returning him to God. However, he has not been made clean or changed by God, and he remains corrupt. Within man still exists filth, opposition and rebelliousness; man has only returned to God through redemption, but man has no knowledge of Him and still resists and betrays God. Before man was redeemed, many of Satan’s poisons were already planted within him. After thousands of years of Satan’s corruption, man already has within him a nature that resists God. Therefore, when man has been redeemed, it is nothing more than redemption, where man is bought at a high price, but the poisonous nature within has not been eliminated. Man that is so defiled must undergo a change before being worthy to serve God. Through this work of judgment and chastisement, man will fully come to know the filthy and corrupt substance within him, and he will be able to completely change and become clean. Only in this way can man be worthy to return before the throne of God. All the work done this day is so that man can be made clean and be changed; through judgment and chastisement by the word, as well as refinement, man can cast away his corruption and be made pure. Rather than deeming this stage of work to be that of salvation, it would be more apt to say it is the work of purification. In truth, this stage is that of conquest as well as the second stage of salvation. Man is gained by God through judgment and chastisement by the word; through the use of the word to refine, judge and disclose, all of the impurities, notions, motives, and individual hopes within man’s heart are completely revealed. Though man has been redeemed and forgiven of his sins, it is only considered as God not remembering the transgressions of man and not treating man in accordance with man’s transgressions. However, when man lives in the flesh and he has not been set free from sin, he can only continue to sin, endlessly revealing the corrupt satanic disposition. This is the life that man leads, an endless cycle of sin and forgiveness. The majority of men sin in the day only to confess in the evening. As such, even if the sin offering is forever effective for man, it would not be able to save man from sin. Only half the work of salvation has been completed, for man still has corrupt disposition. All of you live in a place of sin and licentiousness; you are all licentious and sinful people. Today you not only can see God, but more importantly, you have received chastisement and judgment, received such deepest salvation, that is, received God’s greatest love. All that He does is true love for you; He has no ill intention. It is because of your sins that He judges you, so that you will examine yourselves and receive this tremendous salvation. All this is done to work man. From beginning to end, God has been doing His utmost to save man, and He is certainly not willing to completely destroy the men He created with His own hands. Now He has come among you to work; isn’t this even more salvation? If He hated you, would He still do work of such magnitude to personally lead you? Why should He suffer so? God does not hate you or have any ill intention toward you. You should know that God’s love is the truest love. It is only because of people’s disobedience that He has to save them through judgment; otherwise, they would not be saved. As you do not know how to lead a life or how to live, and you live in this licentious and sinful place and are licentious and filthy devils, He does not have the heart to let you become even more depraved; neither has He the heart to see you living in the filthy place like this, being trampled by Satan at will, or the heart to let you fall into Hades. He only wants to gain this group of you and thoroughly save you. This is the main purpose of doing the conquering work on you—it is just for salvation. Christ of the last days brings life, and brings the enduring and everlasting way of truth. This truth is the path through which man shall gain life, and the only path by which man shall know God and be approved by God. If you do not seek the way of life provided by Christ of the last days, then you shall never gain the approval of Jesus, and shall never be qualified to enter the gate of the kingdom of heaven, for you are both a puppet and prisoner of history. Those who are controlled by regulations, by letters, and shackled by history will never be able to gain life, and will never be able to gain the perpetual way of life. That is because all they have is turbid water that has lain stagnant for thousands of years, instead of the water of life that flows from the throne. Those who are not supplied with the water of life will forever remain corpses, playthings of Satan, and sons of hell. How, then, can they behold God? If you only try to hold on to the past, only try to keep things as they are by standing still, and do not try to change the status quo and discard history, then will you not always be against God? The steps of God’s work are vast and mighty, like surging waves and rolling thunders—yet you sit and passively await destruction, sticking to your folly and doing nothing. In this way, how can you be considered someone who follows the footsteps of the Lamb? How can you justify the God that you hold on to as a God who is always new and never old? Christ comes during the last days so that all those who truly believe in Him may be provided with life. His work is for the sake of concluding the old age and entering the new one, and is the path that must be taken by all those who would enter the new age. If you are incapable of acknowledging Him, and instead condemn, blaspheme or even persecute Him, then you are bound to burn for eternity, and shall never enter the kingdom of God. For this Christ is Himself the expression of the Holy Spirit, the expression of God, the One whom God has entrusted to do His work on earth. And so I say that if you cannot accept all that is done by Christ of the last days, then you blaspheme the Holy Spirit. The retribution that should be suffered by those who blaspheme the Holy Spirit is self-evident to all. I also tell you that if you oppose Christ of the last days, and deny Him, then there is no one who can bear the consequences on your behalf. Furthermore, from this day onward you will not have another chance to gain the approval of God; even if you try to redeem yourself, you will never again behold the face of God. For what you oppose is not a man, what you deny is not some puny being, but Christ. Are you aware of this consequence? You have not made a small mistake, but committed a heinous crime. And so I advise everyone not to bare your fangs before the truth, or make careless criticisms, for only the truth can bring you life, and nothing except the truth can allow you to be reborn and behold the face of God.